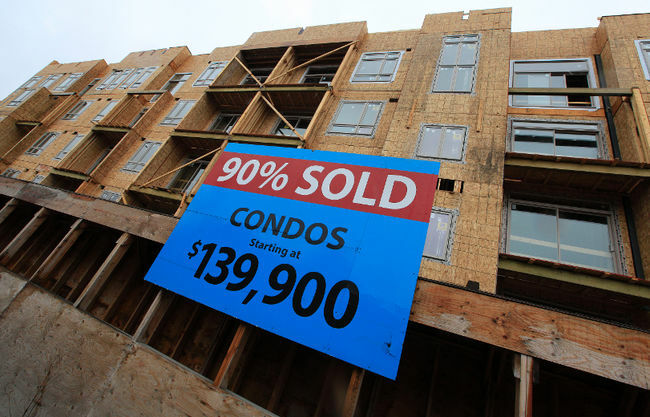 Are condo mortgage deals finally about to fall? Toronto’s condo market will experience a “cyclical cooling off,” according to a new report, but experts say condo prices and sales will continue to rise, and there is still plenty of demand for these types of properties. “There is an increasing amount of supply on the market, but at the same time prices are still rising and sales are still rising,” said Andrew la Fleur, a real estate agent at Re/Max Condos Plus in Toronto. The report, published by TD Economics, references a “softening in condo market conditions” that reflects a decline in new home construction in Toronto since early 2013. “The current level of starts is well off the peak reached in 2012, and on a six-month moving average the pace of new home construction in Toronto is hovering near 2008/2009 recessionary levels,” said the report. But Shaun Hildrebrand, senior vice president at Urbanation, said this slowdown is backwards looking.